France, Calais. 'Jungle' camp for refugees. 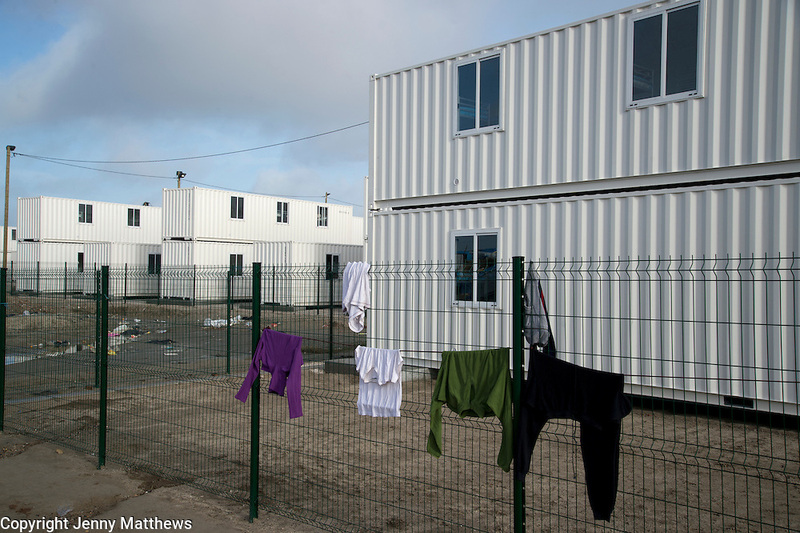 New container housing for refugees provided by the French government but many are reluctant to move there.